Partnering with local restaurants to make an impact. The Einstein Project partners with local restaurants throughout the year to help raise awareness and funds for our mission. This event also brings attention to the participating local restaurants. Dine for Einstein provides financial support to the Einstein Project as the restaurants generously donate a portion of the day’s profits to our organization. 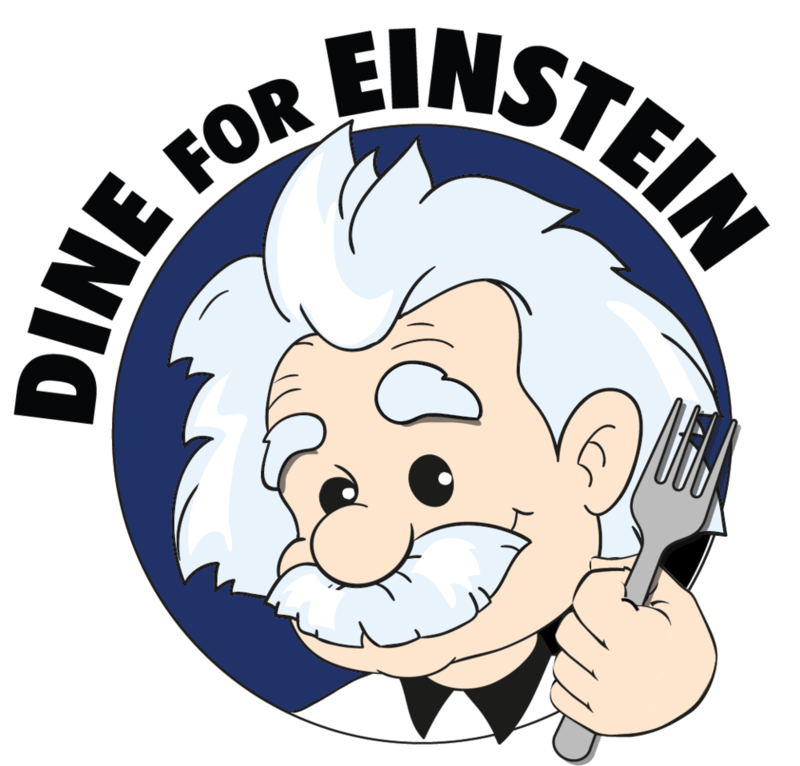 No flyers or coupons are needed for patrons to participate; all customers are supporting the Einstein Project simply by dining out. Partner restaurants receive a tee and publicity, if you would like to partner for 2019 please connect with us at einstein@einsteinproject.org.